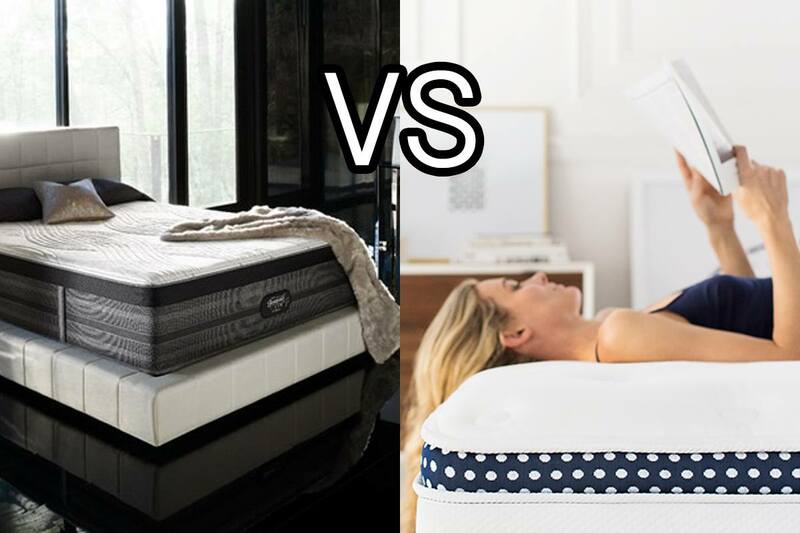 As an industry veteran, I get asked a lot of questions about how some of the major brands like Sealy, Simmons, Serta, and Tempur-pedic compare to the online-only brands. One of the most frequent questions I get is about how high-end (and high priced) models like the Beautyrest Black or the Heavenly Bed compare to a mattress like WinkBeds, which uses a similar hybrid construction style. The Simmons Beautyrest Black Elisabeth is the top of the line luxury firm model in the Beautyrest Black collection. 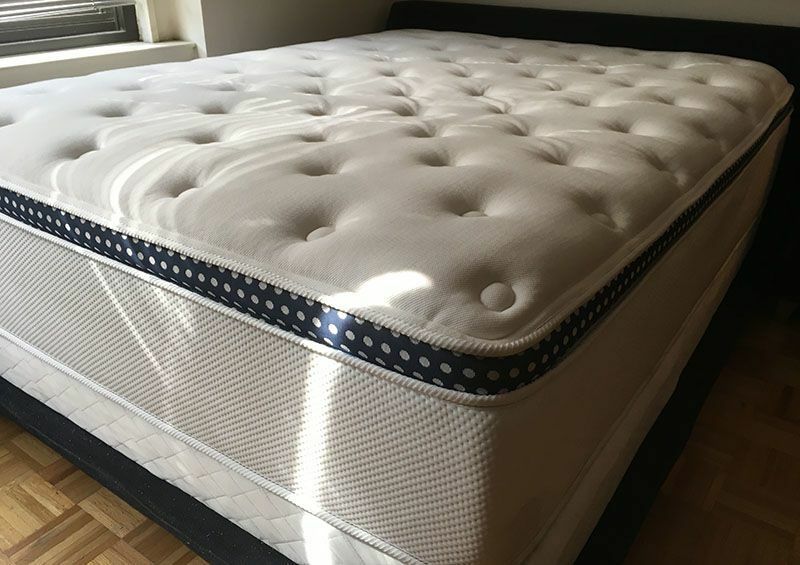 The mattress has a medium/firm rating (otherwise known as luxury firm), and a great overall feel that most people who like a firm mattress should enjoy. It’s a very popular mattress and one of Simmons’ best sellers. I’ve been wanting to try this mattress for a while and was really excited when finally got to sleep on it. WinkBeds is a hot newcomer in the online-market. 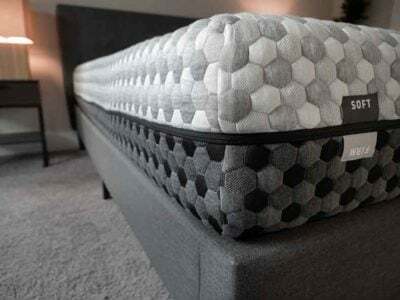 They sell one type of high-end hybrid bed which features several layers of foam over two layers of coils, allowing the consumer to get the best out of both springs and foam. 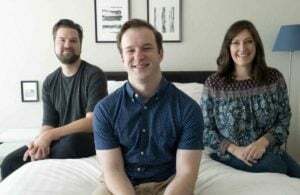 I was really impressed with this mattress when I first tried it and WinkBeds was also rated as one of the Huffington Post’s top mattress picks, so it’s clear others are starting to notice this company. Overall, in terms of quality and feel, I think these mattresses are almost dead even. I liked the feel of the Beautyrest black slightly more, but I actually found that I slept a little better on the WinkBed. WinkBeds is priced at about 2/3 less, so in terms of value for money, its obviously the better choice. Lets take a look at each bed and see where they are similar and where they differ. Each bed is built using a hybrid spring/foam style of construction. What this means is that each mattress features one or more layers of coils that are then encased inside of foam. Additional foam is then layered on top for comfort and to even out the feel. These types of beds are built with a support layer and comfort layer, which work together to create overall experience. Overall, these two support cores are fairly similar. 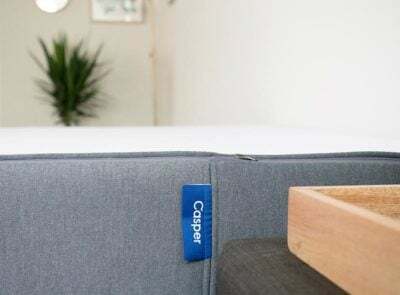 The Beautyrest has a slightly higher coil count, while the WinkBed coils are made using higher gauge steel, which gives them a little bit more flex action. All in all, I’d say the support layers are about equal. Most companies source their coils from the same company, Leggett and Platte, so there is a good chance the coils in each of these beds actually came from the same place. The comfort layers are also similar. Each contains a layer of micro-coils and a proprietary blend of foam. 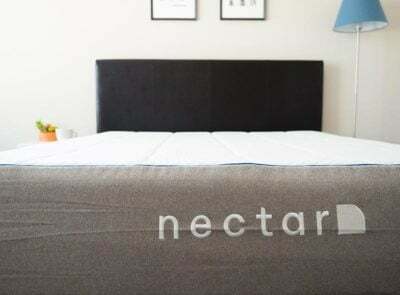 Micro-coils are a premium feature because they allow the mattress to contour to your body better than most foams on the market, while also enhancing support and long term durability. I think I liked the Beautyrest Black a little bit more, but WinkBeds was probably 95% as good (which is pretty amazing considering its about 1/3 of the price). These two beds have an overall construction style and feel that closely approximate each other. As far as durability goes though, it gets a little tricky because the bigger brands, like Simmons, don’t like to release information about the densities of foam they use in their mattress construction. WinkBeds third party tests their mattress for durability. The test works by dropping a 168 lb weight on the mattress 80,000 times. That is far more abuse than a mattress will ever see in a person’s home, even over a 20 year period. The results showed just a 2% compression in the foam over the course of the test, which is a great result. 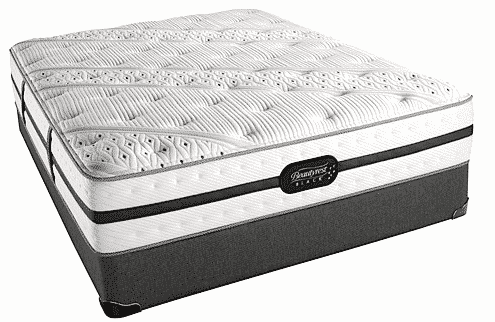 Materials Spring mattresses in general tend to be more durable than all foam beds. Unfortunately however, Simmons, does not provide any meaningful information about foam density which is the most important information that you need to assess durability. Lower density foam is less durable than higher density foam, especially when the layers of foam are very thick like they are on the Beautyrest black. WinkBeds uses exclusively 1.5 lb density foam in its mattress which is fairly durable. WinkBeds also sent its mattress to an independent lab to have the durability tested in a third party environment. The test they used is called the constant force fatigue test, which simulates dropping a 168 lb weight on a block of foam 80,000 times. That is far more abuse than a mattress will ever see in a person's home, even over a 20 year period. The results showed just a 2% compression in the foam over the course of the test, which is a great result. Check out a video of the test being done here. WinkBeds really went the extra mile on the durability aspect. I can’t picture any of the major brands getting there beds third party tested for durability. While the Simmons Beautyrest Black may actually be durable, we can’t know for sure. This is where the comparison really starts to get interesting. Building a bed of this type is expensive! 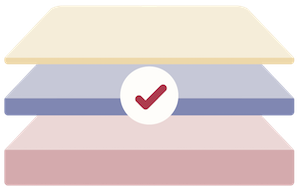 Hybrid beds contain a number of different components that work together to create the overall mattress feel, which is why they typically cost over $3,000 at retail. It’s much different than the all foam beds that are basically built by gluing several layers of foam together. WinkBeds clearly wins on the pricing component. Their online-only business model allows them to out-price their competitors because they don’t have a brick and mortar storefront, no commissioned sales person, or warehousing costs (see Saatva an another similar option). The WinkBed costs almost two thirds less than the Beautyrest black, so its a great value for money option. 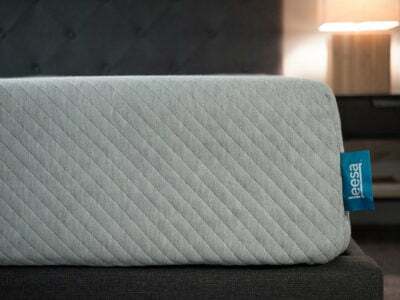 Read about their direct-to-consumer approach in my Winkbeds mattress review. Overall, I was really impressed with the feel and the night sleep that I got on the Simmons Beautyrest Black. It is an awesome mattress and it is fairly obvious why it is one of the top sellers at retail. The WinkBed was very close in feel, probably 95% as comfortable. I also slept great on both mattresses, so not much of a difference there. The Simmons Beautyrest Black gets the slight edge on overall comfort, but WinkBeds is right there. Both are great mattresses. Simmons has been around for a long time, so I’d expect that they are making a quality product with at least decent durability. It is a little odd though that they don’t release information about the foam densities that they use. WinkBeds on the other hand is totally transparent about the materials they are using and actually went out of their way to third party test the bed for durability. For now, Simmons has the edge because they are more tested, but I could see this going the other way as WinkBeds is used by consumers over time. This is where you can’t really compare the two. WinkBeds costs almost two thirds less than the Simmons Beautyrest Black. There is a lot of information on this site and else where about how physical retailers unfairly markup the cost of their mattresses. WinkBeds wins on price because of the online-only business model, which has shaken up many industries including mattresses. WinkBeds definitely has the edge here. The warranties are about the same, the free trial period is about the same, and the return policy is similar (though WinkBeds offers free return shipping). 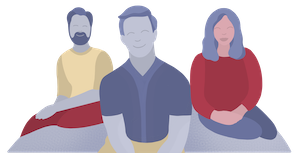 WinkBeds customer service is in done in-house so you will always get a member of the company on the phone if you call, which is great. The customer service you will get if you buy a Simmons Beautyrest Black will depend on the retailer you buy from. If you know you want a hybrid mattress or a more traditional feel, it’s probably worth giving WinkBeds a try. They have a great mattress (95% as comfortable for me as Beautyrest Black) and a great return policy so you don’t have much to lose (check out their site HERE). Which mattress. Would you recommend- the Beautyrest black or Kingsdown ? I haven’t done a thorough review of Kingsdown just yet, but plan to later this year – so sorry no great answer right now! My husband did a great deal of research – extensive. Specifically for comfort that I need with back and neck issues. Also, looking for great quality and price. He chose Wink – concerning to me not being able to lie on the bed first. We probably should not have made it more firm and stayed with it as it comes. However some really major issues. The padding – batting has some major crackling issue when pressing down on the top in various parts of the topper. The fact that you have to turn this bed every 2 weeks for 90 days is bizarre. Do you have any idea how heavy this king size bed is? The purpose is that the topper breaks in evenly – really? Within 3 days of sleeping on this bed it looked our Simmons mattress we had for 10 years looked after 8 years. You know a person sleeps on the left and a person sleeps on the right and ridge down the center. So I am told that this is part of the normal break in process. I am told we are required to move our bodies every night 2 inches one way of the other to obtain an even wear pattern and sleep down the center of the bed. Well, tell my exhausted sleeping body where it is suppose to move and lie after it’s had several nights of poor sleep, or any night for that matter. Beds, the topping should look like this and require this much effort to make the top look consistent across the top. Going out to look at another bed today. Cost was great but the WinkBed is not holding up or wearing as a “normal” mattress should. Thanks for the comparison – We’re probably going to give the Winkbeds a shot in Queen size for our vacation home in the mountains. If we like it we’ll be going for & a King size at our city home! Have seen other reviews and all positive so far! I would also like to know if there is a difference between the Elizabeth and the Elisabeth mattress or are people just spelling it wrong? I would like to know if any stomach sleepers have tried this and how is it for stomach sleeping?